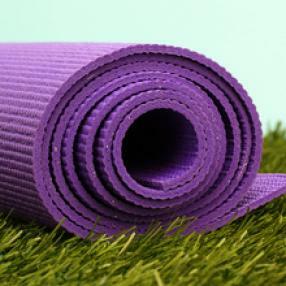 Kathy is able to a customize an effective and fun personal yoga or training session that addresses your goals. From stretching, yoga, pilates, body sculpting and strength training- Kathy can create a session to enhance your physical and mental wellbeing. Flow All Level (Levels 1-4) classes are typically fast paced and set to great music! Our instructors are skilled at catering to all level practitioners by offering modifications for different levels of students. Healthy beginners are welcome! Be prepared to sweat and get a great workout! Class is heated between 85-90 degrees.